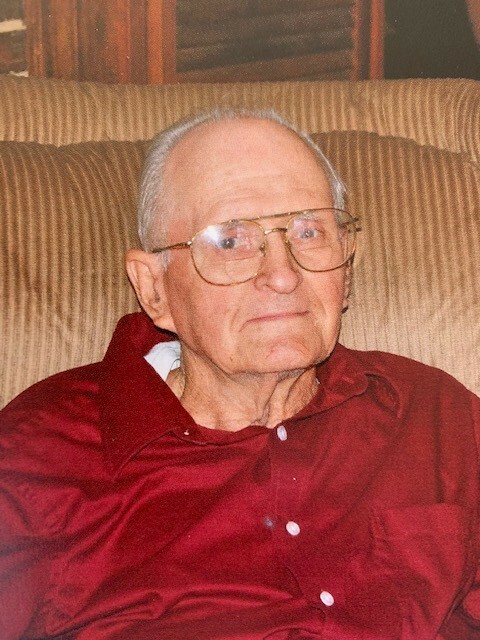 Eugene Talmadge “Gene” Greene, 84, husband of 59 years to Linda Fambrough Greene, died Tuesday, February 12, 2019. Born in Copperhill, TN, Gene was the son of the late Edna Earl Greene and Lillie Mae Finnell Greene. Gene had worked at General Time/Westclox, but his true passion was as a farmer raising cows and chickens on his farm and working in his garden. He served in the US Army during the Korean Conflict and was a Deacon of Antioch Christian Church. Survivors in addition to his wife include brother and sisters: Earl Greene of Texas, Paul Green of Athens, Frank Greene of Athens, Nancy Wortham of Athens and Edna Waylander of Athens; brother in law: Lindsey Lumpkin (Joanne) Fambrough of Cleveland; sister in law: Rebecca (Paul) Woodworth of Watkinsville and several nieces and nephews. Funeral services will be held Thursday, February 14, 2019 at 2PM at Antioch Christian Church with Rev. Jim Jacobs officiating. Interment will follow in the church cemetery. Pallbearers will be Fred Bright, Stanley Dickens, Gerry Dickens, Gene Moore, Marvin Looney, Lewis Collier, Jimmy Christopher and Billy Bridges. Honorary pallbearers will be members of the Friendship Sunday School Class and the Antioch Fun and Travel Club. The Family will receive friends from 5 until 7 at the funeral home on Wednesday, February 13, 2019. Flowers will be accepted.